Shark Tank star Robert Herjavec’s experiences while traveling are a good indicator of how cyberattacks have emerged as a concern for businesses and individuals. Herjavec, a cybersecurity professional for more than 30 years, appeared Wednesday on a webcast with Barry Melancon, CPA, CGMA, the CEO of the Association of International Certified Professional Accountants. The archived webcast is available on the Association’s website. Five years ago, Herjavec said, he had difficulty getting meetings with CEOs unless they were fans of Shark Tank, the ABC television show on which he serves as a judge of entrepreneurs’ budding business ideas. One thing hasn’t changed: Once he passes on his advice, they still request a selfie. Nary a week passes without another large organization suffering the brunt of a data breach damaging its revenues, reputation, and business prospects. With big data proliferating, information has become many organizations’ most critical asset. Herjavec and Melancon discussed the distressing spate of recent data breaches and ransomware attacks such as WannaCry and Petya. They also talked about the changes in the attack vector, composed of traditional hackers along with criminal organizations, nation-states, and terrorist groups. 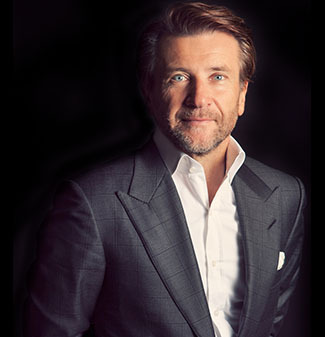 Herjavec echoed a comment he heard recently that summed up the state of cyber readiness in the global business world. “There are two types of companies—those that have been hacked and those that don’t know they’ve been hacked,” he said. Prior to joining Melancon on the webcast, Herjavec reviewed the AICPA’s recently issued cybersecurity risk management reporting framework, which can be used by an entity’s management in describing its cybersecurity risk management program and by CPAs in reporting thereon. The framework, available at aicpa.com/cybersecurityriskmanagement, serves as a common language for management to use in reporting to its board, audit committee, and other key stakeholders. It also can be used by CPAs in performing cybersecurity consulting engagements known as “readiness assessments,” as well as System and Organization Controls (SOC) for Cybersecurity examination engagements. The cloud can provide some protection. Herjavec said the cloud can provide some important security infrastructure. “It doesn’t absolve you of the risk of that data,” Herjavec said. He said when using the cloud, small businesses still need to understand their own data issues and how to safely connect with their suppliers. Asking cloud providers where and how data will be stored, whether data will be encrypted, whether data you delete will be removed entirely from the cloud, and what the provider’s security procedures entail can lead to a more secure scenario in the cloud.